Barrington Gifts St. Anne Tote: A Golden Globe Swag Bag Darling | Gina Miller's Blog - A working mom's blog about fitness, travel, handbags & beauty. North Texas will be well-represented at the Golden Globes this Sunday night. 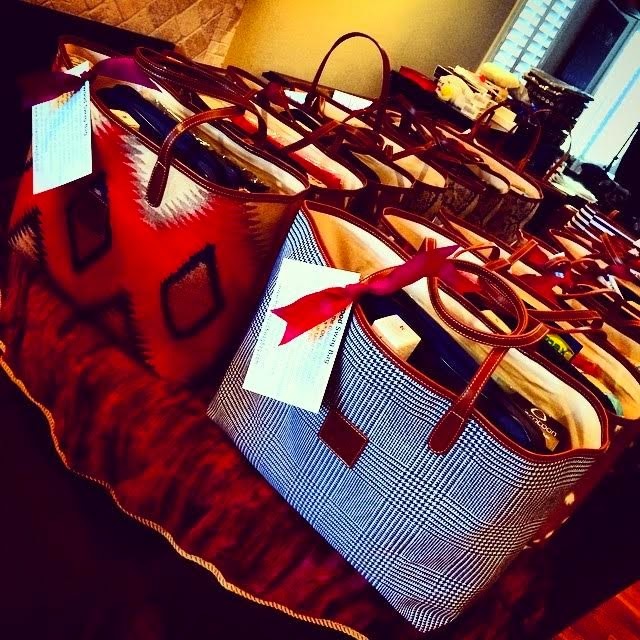 Dallas-based Barrington Gifts' St. Anne Tote is THE swag bag for Golden Globe nominees. According to Barrington Gifts, they were delivered into the private hotel rooms of nominees on Friday. Click on any bag to learn more about it! The likes of Julia Louis-Dreyfuss (I LOVE her...Veep is my favorite show), Emily Blunt, Helen Mirren, Viola Davis, Mark Ruffalo received the bag in various patterns: Checkerboard, Navajo Mesa, Glen Plaid, Black Watch Plaid, Reptile and Axis. Best actress nominee Reese Witherspoon is the only celebrity gifted with the tote in the French Stripe pattern. 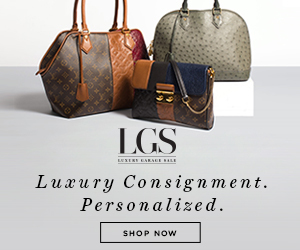 It's personalized with her initials, LRW. That's the cool thing about Barrington's products: you can get virtually anything debossed with your initials. I first met the Barrington Gifts team when I discovered their gameday line (click HERE to learn more about it), which allows you customize any of their bags in your alma mater's favorite colors. It's brilliant. They also have a slew of goodies for guys and great corporate gifts. Barrington's St. Anne Tote may become a new celebrity favorite but it has an incredibly real world price. It's only $145. You order it online and get your initials on it for an additional $5.